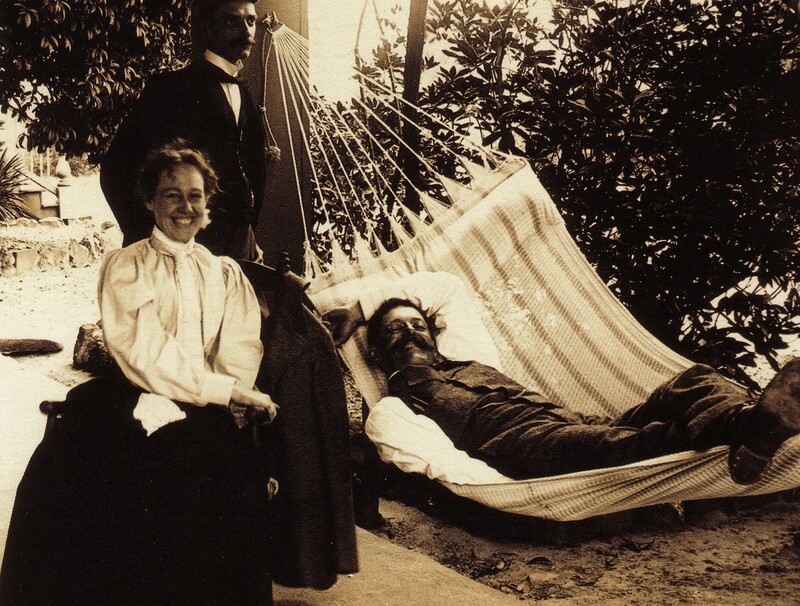 Members of the Berckmans family on the veranda of what is now the Augusta National clubhouse, late 1800s. 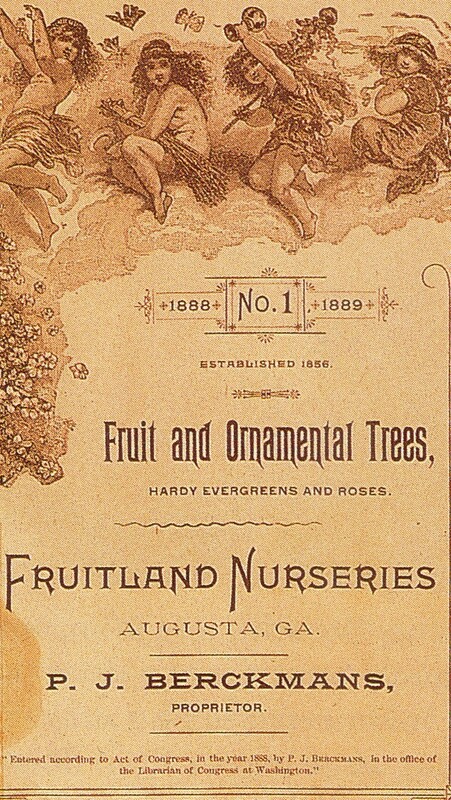 Shortly before the outbreak of the Civil War, a horticulturist and landscape architect named Prosper Julius Alphonse Berckmans planted a double row of magnolia trees leading into a piece of property that he and his father, a Belgian nobleman, had bought on the outskirts of Augusta. He grew the trees from seeds. The two rows were two hundred fifty yards long, and between them ran a bumpy dirt road that the Berckmans family used as a driveway. 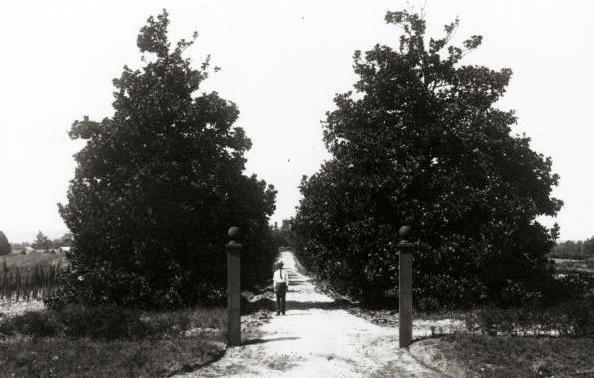 Prosper Berckmans’s double row of magnolias, at Washington Road, 1900. In the late 1990s, Lawrence Bennett—who was the son of Augusta National’s director of outside personnel and a part-time employee of the club as well as a high-school history teacher—told me that his grandmother, whose own grandmother had been a slave, remembered noticing the magnolias just after the turn of the century, when her family came to town in a covered wagon once a month to buy supplies. By 1931, when Clifford Roberts and Bobby Jones, the club’s co-founders, first visited the property, the magnolias were good-size trees and the driveway was known locally as Magnolia Avenue. Because the branches were long and close to the ground, two cars could not pass side by side between the rows, and Roberts and Jones briefly considered placing the club’s main entrance well to the left. The magnolia trees are on the right side of this photograph, which was taken around the time of the first tournament. 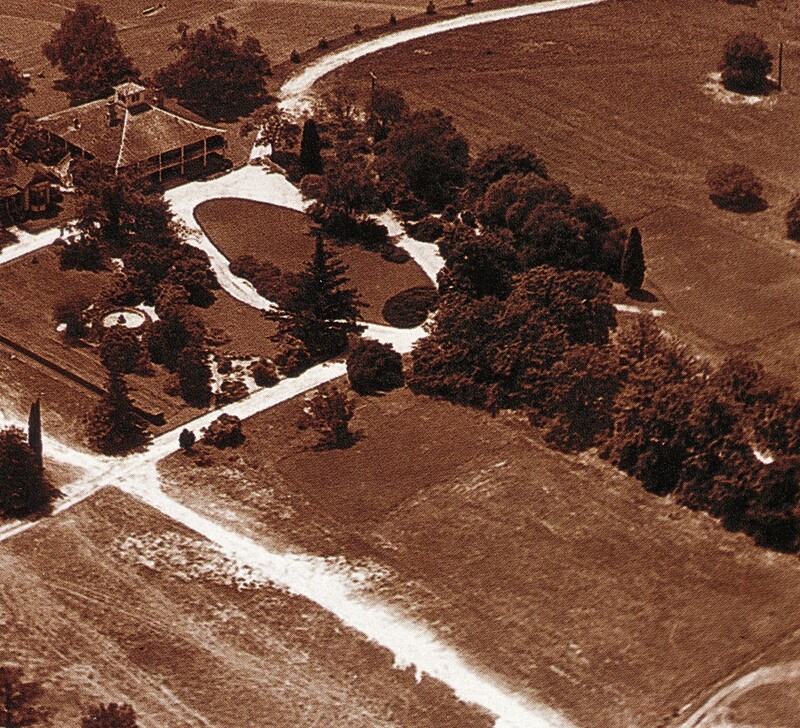 Roberts and Jones considered using the dirt road that slants across the lower left as the club’s driveway, because they worried that two cars wouldn’t be able to pass each other in the narrow opening between the rows of trees. Roberts loved the magnolias and worried about them, as he did about most of the trees on the club’s property. If a loblolly pine on the golf course died, he wanted to know why it had died, and he wanted the tree removed immediately in case the thing that had killed it was catching. He didn’t like deciduous trees, because in his view fallen leaves were a species of litter; he thinned oaks and maples in favor of half a dozen varieties of pine. He read scholarly articles about tree care and consulted forestry professors. When a contractor who was building a new tee ignored his warning to keep construction machinery away from some old trees that he was especially fond of, he ordered the contractor to leave the grounds. This entry was posted in Masters, Masters Countdown, Tournaments and tagged Berckmans, Bobby Jones, Clifford Roberts, Magnolia Lane by David Owen. Bookmark the permalink.